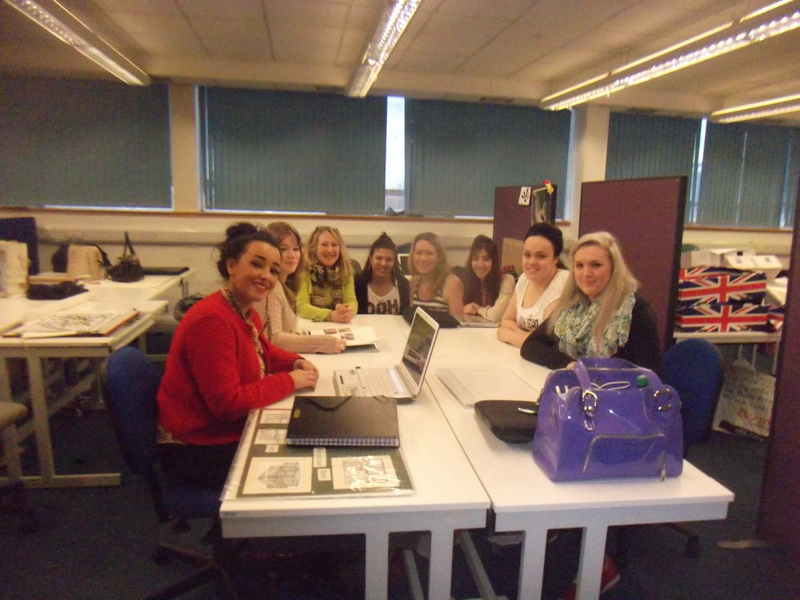 As a representative of the ‘Interior design industry’ Jo went to Sunderland University on Monday to chat to the 3rd year students about their course work and portfolios, to give them advice and insight about working as an interior designer. The afternoon was very enjoyable the girls were lovely and talented. Jo enjoyed it so much and the University must have been impressed with what she had to say as Jo was asked back to assist with the tutoring until the end of May! Jo will be at Sunderland one day a week, which will be shoe horned in around TATTI’s interior design projects. Its been fantastic having Jo as our Tutor, she has the patience of a saint and seams to be able to tune in to each students abilities and nudge them in a helpful direction (Thank you Jo for all your help). She instills confidence in each one of us and we all have the upmost respect for her.